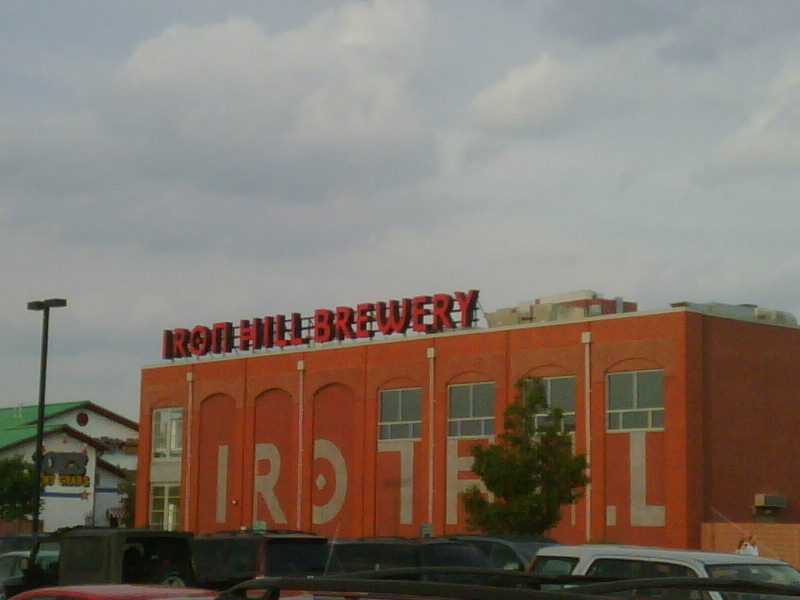 As of summer 2012, Iron Hill has 9 brewpubs in the DE-PA-NJ tri-state area. I am impressed this chain hasn't lost touch with its craft microbrewery roots, because the brewmasters each have autonomy to constantly invent bold new recipes. I almost always find a new brew when I go into any Iron Hill, and I have tasted over 300 different Iron Hill beers over the past several years! Their selection has excellent variety, and they usually have 12+ well-crafted beers on tap. I highly recommend visiting any Iron Hill brewpub to try a sampler! Wilmington, DE was their 2nd location but this jewel has become the heart of the chain. Parking is easy, and the brewhouse equipment is visible through windows before you enter the restaurant. Like most Iron Hill locations, there are separate rooms for dining and the bar areas, but unlike other locations there are two stories and dual bars. Downstairs is a three-sided wooden bar with about 18 chairs, and upstairs is a linear wooden bar with about 14 chairs. The upstairs patio has a wonderful view of the Riverfront area - great location! This location was similar to others I have gone to, but it has been a while since I have been to a Iron Hill. Other than there standard beers they have stepped up there seasonal offerings. This time around they had a Cherry Porter, and a Cherry Dubbel which was great. They are also selling there big bottle series stuff at the location and I picked up a Kriek de Hill. They are a bit on the pricey side for the big bottles. Also the first time i brought the wife and kids to a location and there was definitely a choice on the menu for everyone, even my wife who's a picky eater. They had a mako shark dish on as one of the seafood specials it paired nicely with the pineapple chutney it came with and I enjoy the dish! Prices on the draft beer are reasonable even for the seasonal beers. This location is down on the river walk near the minor league baseball stadium. Its worth heading to if your in the Wilmington area. This Iron Hill is my local favorite. I'm a big fan of 2 of their house beers: Ironbound (APA) and the recently added Vienna Red. In addition to 5 house beers, there's a rotating seasonal Belgian, all of which have so far been solid. At any given time there are anywhere from 3-5 additional seasonals as well, some of which are awesome. There's always a cask conditionaed selection available as well. Overall, they do a great job with their beers. The staff, for the most part, is knowledgable and friendly. They've at least been trained on the beers, but they'll always get you someone who is experienced and knowledgable if you're interested. The food is very good but can be a bit pricey. The selection is quite vast, so there's something for everyone and every hunger level. It's right off of Interstate 95, extremely easy to get to, and there's plenty of parking. So if you're passing through, stop off and check them out. The service here was outstanding. Our server truly had studied and tasted the beers and was excellent at describing and explaining each beer in the sampler. And the sampler was impressive, 10-11 beers. Pig Iron Porter and Vienna Red were both impressive. We also got to try a few of their bottled reserve beers with the imperial stout and Tripel both excellent. The food was also really good, their nachos are huge and excellent. Highly recommended if you are looking for an excuse to go to Delaware.